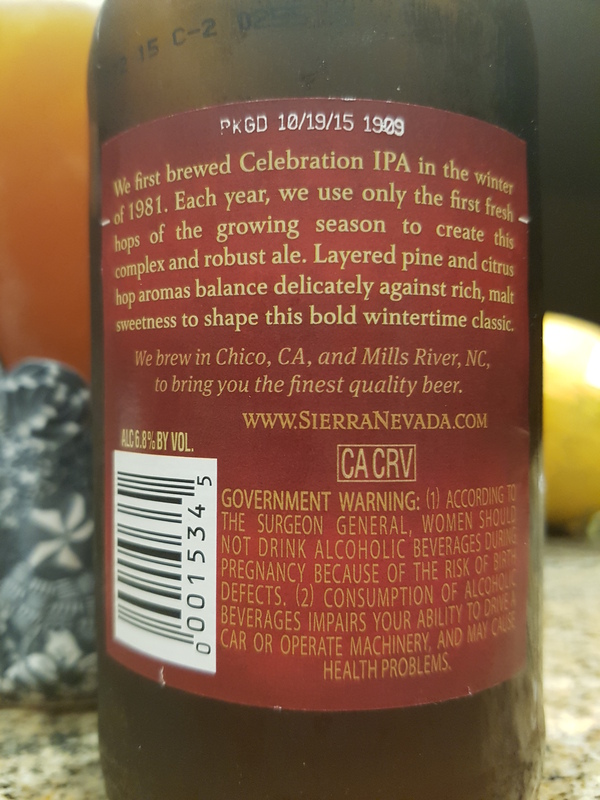 2015 Celebration Fresh Hop IPA – Sierra Nevada Brewing Co. (Chico, CA, USA) | Justintoxicated. Visual: Pours dark copper brown with a small dissipating head, ringed retention with almost a full layer, singular tight steady streams. Finish: pine, dandelion, lingering bitter hops on the tongue. No wonder you question whether it’s a fresh hop ale – you’re drinking it more than a year after its bottling date! Definitely a no-no with pales, IPAs, and most lighter beers. You need to stop doing that – you’re doing a disservice to the brewery, your readers, and yourself. Shame also on the store that still had it stocked in February 2016. It should probably have been consumed no later than the end of December 2015. Celebration really is a world-class IPA, when fresh, as evidenced by its ratings on RateBeer (98) and Beer Advocate (93). Cheers. Thanks for your reply Brent. You make a great point about drinking IPAs asap for optimal flavour and enjoyment. 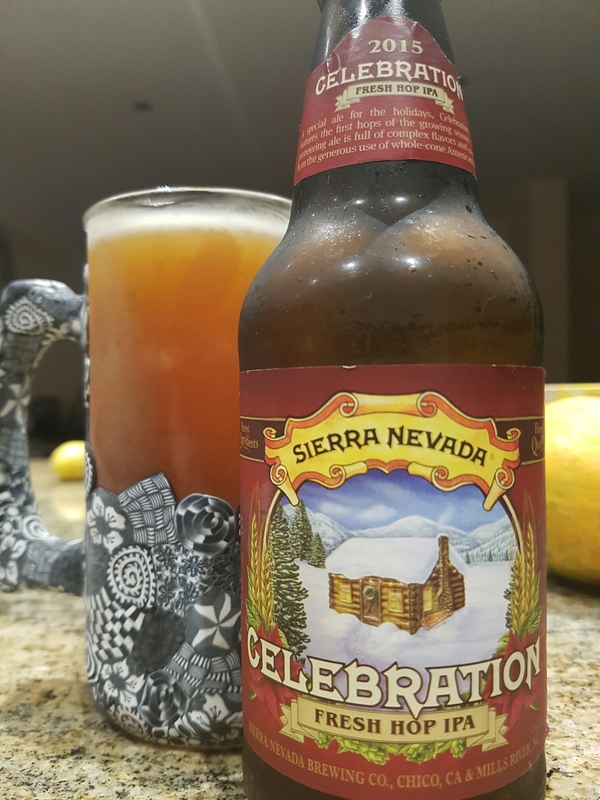 I’ll try to get my hands on next year’s celebration ipa and compare. In the meantime, time to dig out all the ipas from the stash. Cheers!